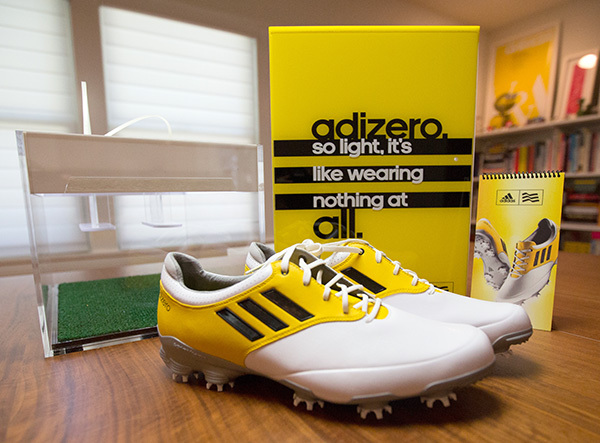 Adidas Golf brings the superlight adizero line to golf! 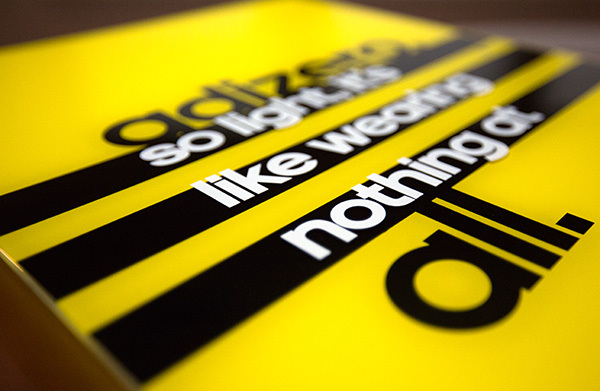 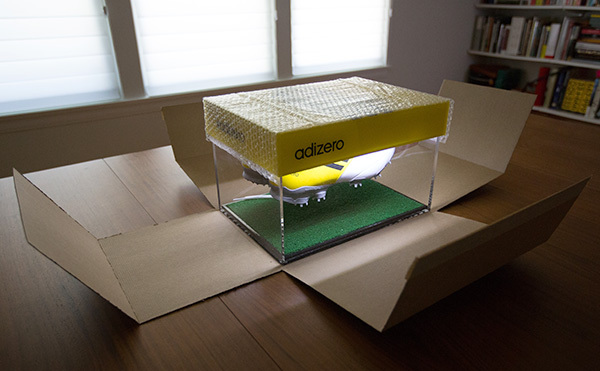 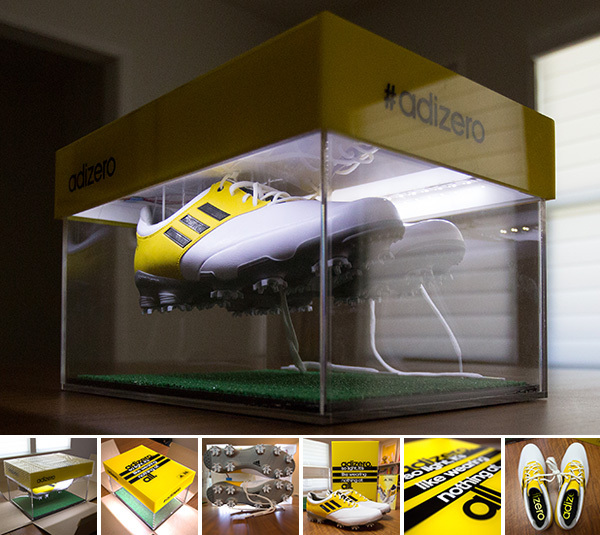 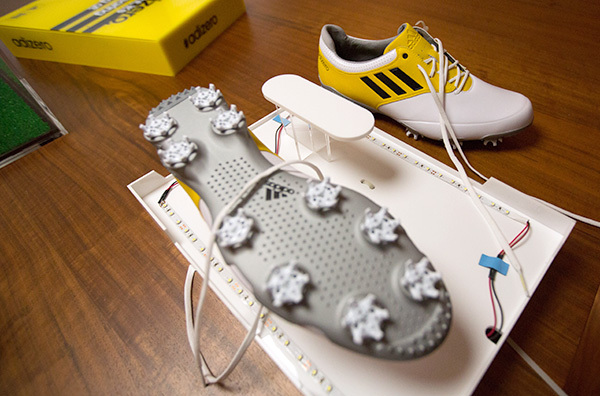 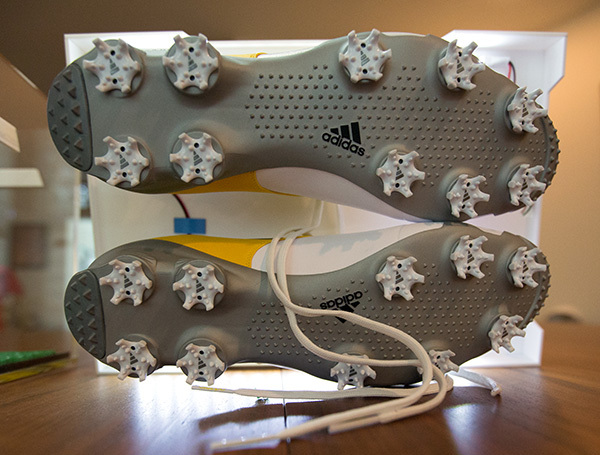 And to really drive the “Adizero, so light, it’s like wearing nothing at all.” message home, they sent out quite the press kit… showing the shoes glowing and hovering off the grass as you unbox it! 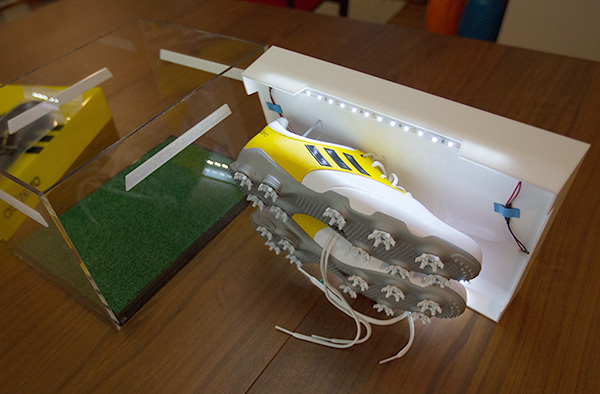 Certainly not your usual shoebox! 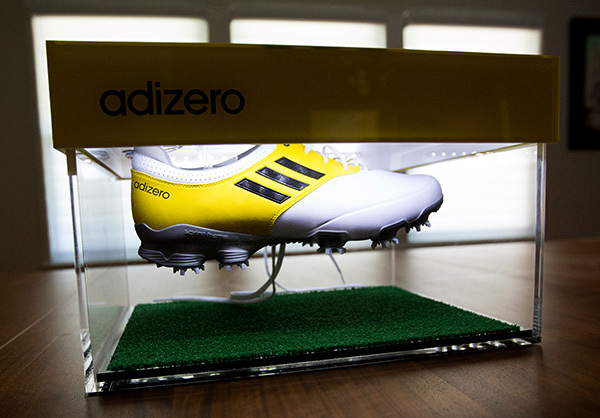 This hefty astroturfed acrylic box has a built in light sensor, that when it’s exposed turns on the led strips creating quite the glowing effect around the floating adidas golf adizero shoes! 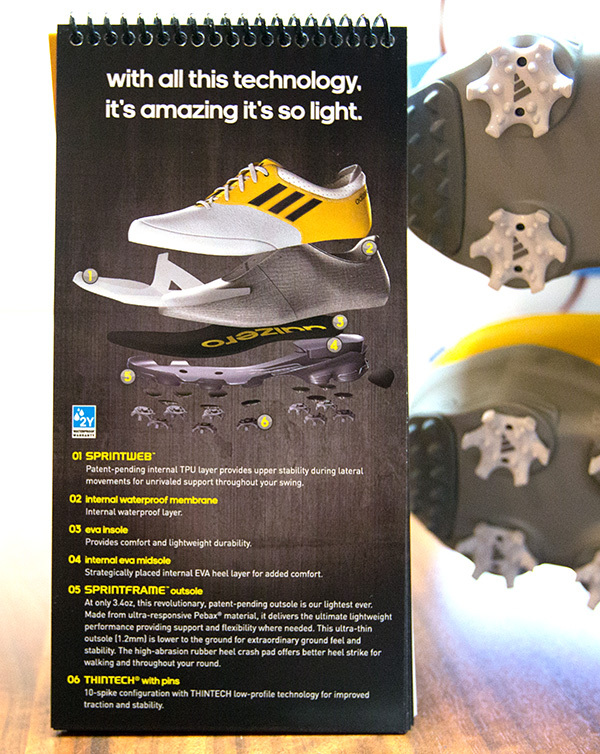 The lightest model weighs in at a mere 10.6 ounces! 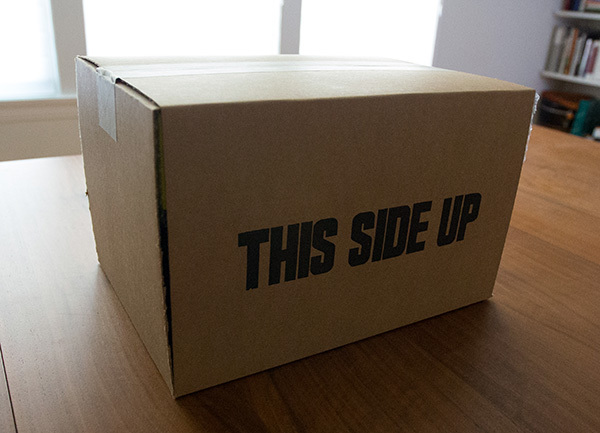 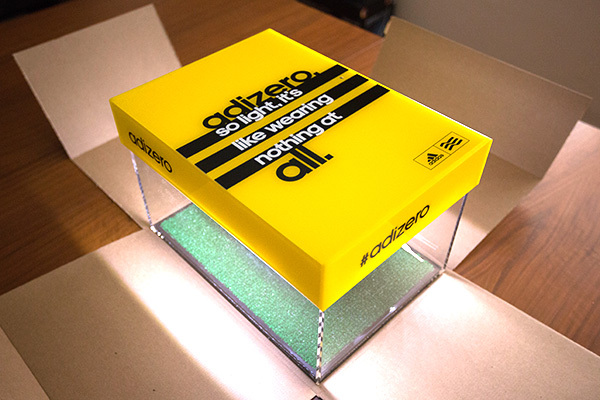 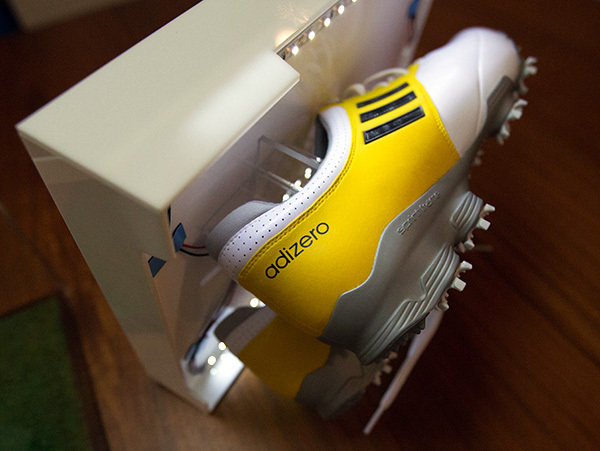 Seen in the box is the adizero Tour model, which comes in 4 color ways. 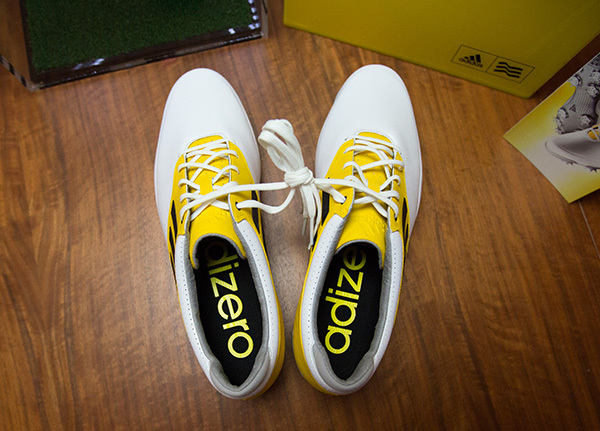 There is also a womens adizero tour which will come in 3 colorways, as well as an adizero Sport line in 3 colorways. 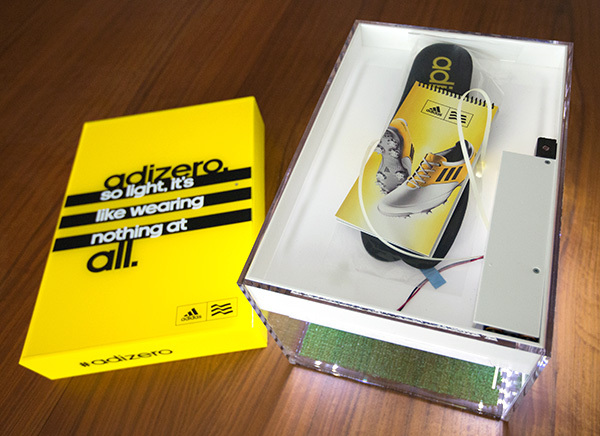 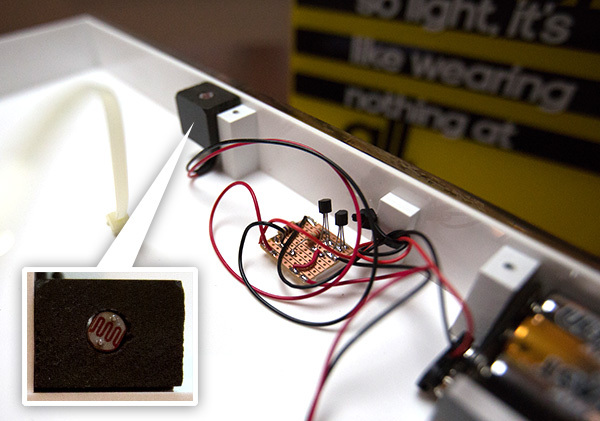 Take a peek at the unboxing and details on the next page!